General information: Big place (5 floors). Wide selection of different beers from around the world. Odd place, very much not a typical pub, some of the beers are wicked expensive (but in fairness the barman did warn me). Labyrinthine and above all dark. Too dark for me. 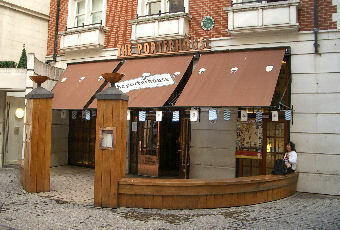 The Porterhouse is a typical tourist trap in a very touristy area, where they get away with bad service and with a shady clientele who sits there waiting for valuables to be left unattended. one of my favorite pubs in central london! only problems i ever have here are the yuppy customers it attracts. my visit here today saw me enjoy one of the best stouts in london, and i do like their range of european beers, although there is nothing that stands out. Gigantic craft beer pub serving a mixture of tourists and after work drinkers mainly. 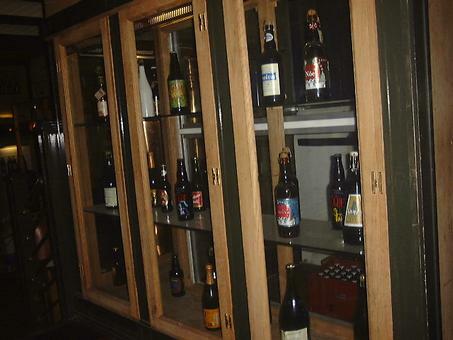 Good selection of bottled beers, albeit pricey, and a great place to bring a large group of people given its size. Huge smoking area/beer garden outside. Staff friendly and efficient although this is a hugely popular pub so waiting times can be long even with the 3/4 bar areas they have.